It’s scheduled for an October release. Puyo Puyo Esports, a competitive version of Puyo Puyo, will be released in Japan, Sega announced ahead of the 2018 Tokyo Game Show, which kicks off on Sept. 20. The esports title will be released on Nintendo Switch on Oct. 25 in Japan. Sega has not confirmed a global release for the title. Puyo Puyo Esports doesn’t look too different from Puyo Puyo Tetris, which launched in 2014. (Of course, there are no Tetris elements in Puyo Puyo Esports.) 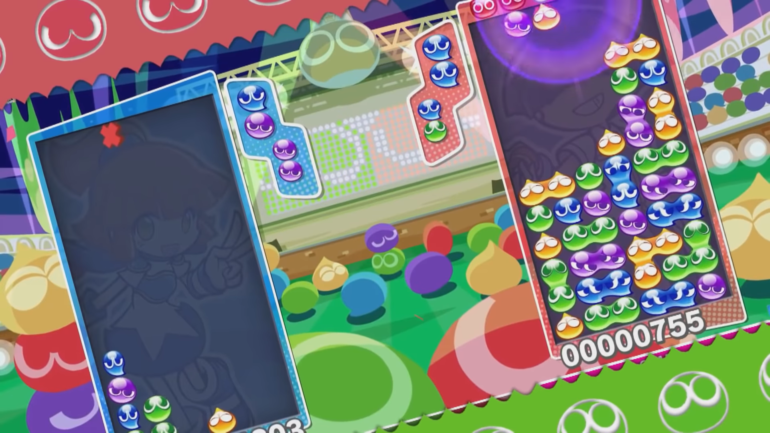 The colorful puzzler works from the standard ruleset, with elements of Puyo Puyo Fever: online battles and eight-player offline tournament modes will be available with 24 playable characters, according to Nintendo Life. The game will be playable at Tokyo Game Show, with a Puyo Puyo Esports exhibition match scheduled for Sept. 22. The matches will be streamed live on YouTube and Periscope. Sega’s new Puyo Puyo puzzle game has been authorized by the Japan Esports Union (JESU), according to Polygon. JESU was created in February 2018 to regulate and promote esports in Japan. It’s the combination of three smaller esports organizations, all of which joined forces earlier in the year. Japanese esports tournaments have strict restrictions on prize money awarded. JESU is interested in issuing professional licenses to esports players as a way to hopefully bypass further issues. Puyo Puyo Esports is expected to cost 1,999 yen (approx. $18) when it releases in Japan. More information about the title is expected during the Tokyo Game Show held over the weekend.